Glo is notable for offering humongous calls and data benefits. Glo data and call plans are some of the best and cheapest you can find out there. We have reviewed Glo call plans to help you choose the most rewarding call tariffs for your budget, activities, and style. Glo 11k/s prepaid plan allows customers to make calls at 11k/s to other Glo customers and 15k/s to other networks in Nigeria. You can also make calls to international destinations at 15k/s with this Glo call plan. 30 international destinations are allowed in this tariff, among these are U.S, U.K, Japan, China, and many more. You can begin enjoying this offer by dialing *211# on your Glo line. If you really want to enjoy huge calls and data benefits, Glo Jollific8 is probably the best plan for you. New subscribers can enjoy 800% increase on each of their recharges above N100 in this call tariff plan. With this plan, subscribers do not just enjoy call bonuses but also data bonuses. For instance, N100 recharge will give N800 call bonus and 10MB (valued at N50). 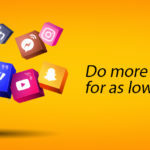 N5000 recharge gives a call bonus of N40,000 and 500MB (valued at N2,000). Once you activate a new Glo SIM, you are automatically in the Jellific8 plan. You can receive the benefit by recharging with *123*PIN#. You can check the bonus by dialing #122# (for Voice/data benefits) and *606# (data gift benefits). However, on-net and off-net calls are charged at 67k/s. Infinito is one of the most simple, affordable, and attractive Glo call plans to make calls to all Nigerian networks. It does not include any rental payment, condition or hidden charge. The flat call rate for this plan is 22k/s to any network in Nigeria. However, you can enjoy lower call rate of 11k/s by registering a number in your Family and Friends (FnF) list. A maximum of 10 numbers is allowed in the FnF list. You can migrate to this plan by dialing *100*9*2# and you can add a number to the FnF list by dialing *101*1*Number#. An awesome benefit that applies to the Infinito plan is the Biigy Pack. Customers can easily buy this pack while on this Glo call tariff. N100 Biigy Pack gives N260 value, N300 gives N800, and N500 gives N1,660. You can buy each of these packs by dialing *170*1#, *170*2#, and *170*3# respectively. This is your go-to Glo call plan if you want to get extra data to surf your favorite social network. G-BAM awards its subscribers a free 5MB daily and offers 11k/s call rate (only for 5 special numbers). You can begin enjoying this benefit by dialing *100*5*1# to migrate to this plan. With Glo 4X, you can get four times the value of your recharge on every recharge of N100 and above. The benefit can be activated by dialing *323*PIN#. Bonus on recharges below N200 is valid for 14 days while bonus on N200 and above is valid for 30 days. This is one of the most flexible Glo call plans. 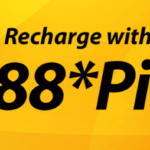 With this recharge plan, you can use your credit either as voice or data. Data in this plan is charged as low as N1 per MB. You don’t need to buy data bundles. Glo Jollific8, G-BAM, and Glo Flexi are three Glo call plans with awesome data benefits. However, Jollific8 and Flexi are better options if you are a heavier suffer.